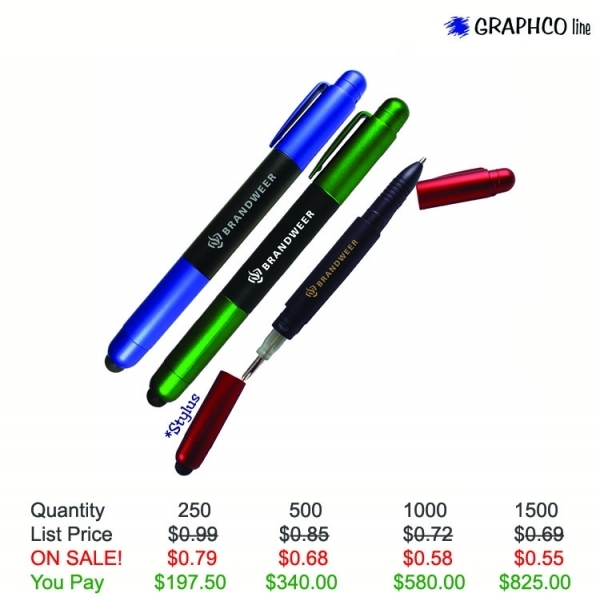 From design to execution, this tool can get the job done! 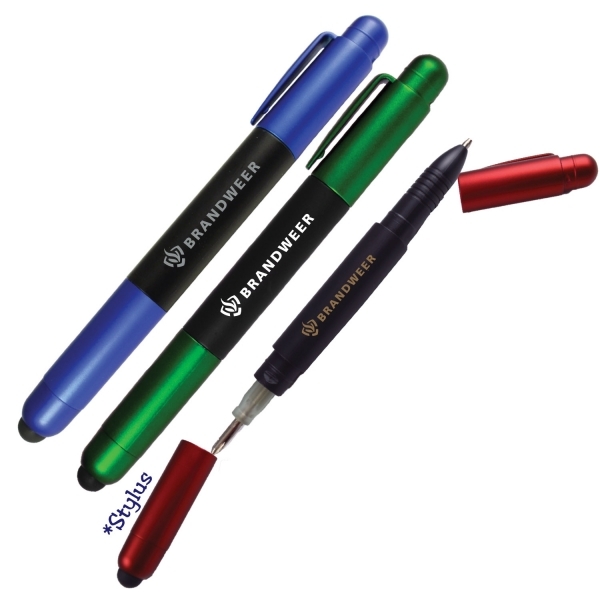 The reversible screwdriver and ballpoint pen is designed with a black barrel and colored caps on either end. Its compact size is perfect for taking on the go. A great do-it-yourself gift that can be given out by architectural firms, construction companies, and repair services. Writes in German black ink. 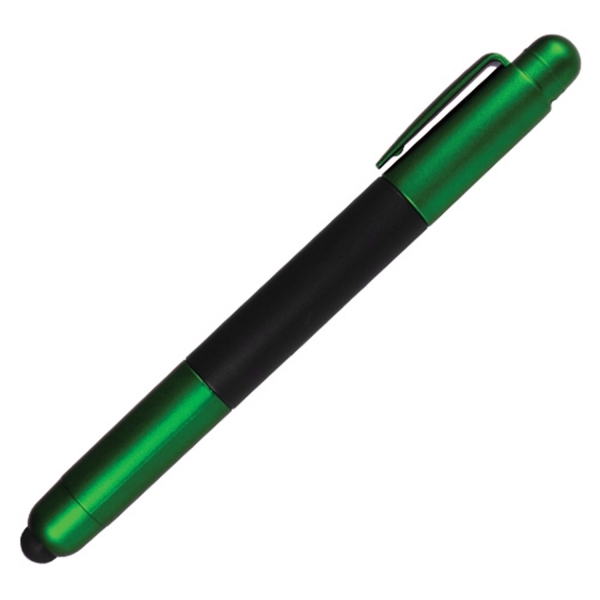 Save on this custom pen with FREE setup, FREE rush service, FREE artwork and FREE shipping. Shipping Weight: 4lbs. per 100 - FREE Shipping!